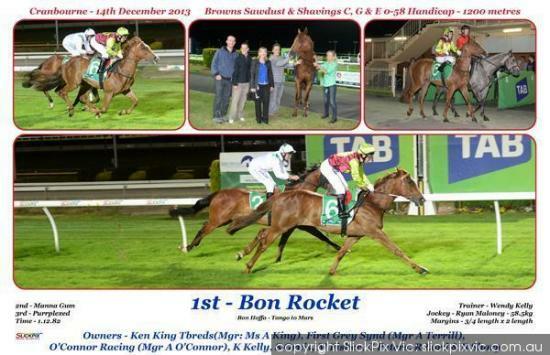 Congratulations to the connections of Bon Rocket on his strong win at Cranbourne last night. It was terrific to see that the horse took the improvement from his 1st run into last nights race and showed that he was just to smart for his opposition. Seeing the way he won last night, this horse does look to have a nice future ahead of him.